It is possible to pass your emissions test in Maricopa County, with the help of a mechanic in Peoria. Emissions testing is a program that is part of the Arizona Department of Environmental Quality. Since the 1980’s, in order to register a vehicle, you need to pass your emissions test, per Arizona law. However, what a lot of people don’t know is that if your check engine light is on, you will automatically fail the emissions test. 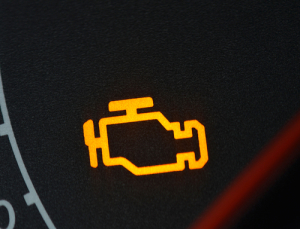 You will need help from someone that does auto repair to help decipher the check engine light. One of the many causes of this enigmatic light is the catalytic converter. But what is a catalytic converter? “A catalytic converter is a vehicle emissions control device that converts toxic pollutants in exhaust gas to less toxic pollutants by catalyzing a redox reaction (oxidation or reduction). Catalytic converters are used with internal combustion engines fueled by either petrol (gasoline) or diesel—including lean-burn engines. The first widespread introduction of catalytic converters was in the United States automobile market. Manufacturers of 1975 model year equipped gasoline-powered vehicles with catalytic converters to comply with the U.S. Environmental Protection Agency’s stricter regulation of exhaust emissions. These “two-way” converters combined carbon monoxide (CO) with unburned hydrocarbons (HC) to produce carbon dioxide (CO2) and water (H2O). In 1981, two-way catalytic converters were rendered obsolete by “three-way” converters that also reduce oxides of nitrogen (NOx); however, two-way converters are still used for lean burn engines. If your check engine light is on, you will not pass emissions. We can’t reiterate that enough. So if your check engine light is on and your registration is due, don’t wait. Take your car in to a shop as soon as you can, and not just any shop. Make sure you go to an auto repair shop in Peoria, AZ.